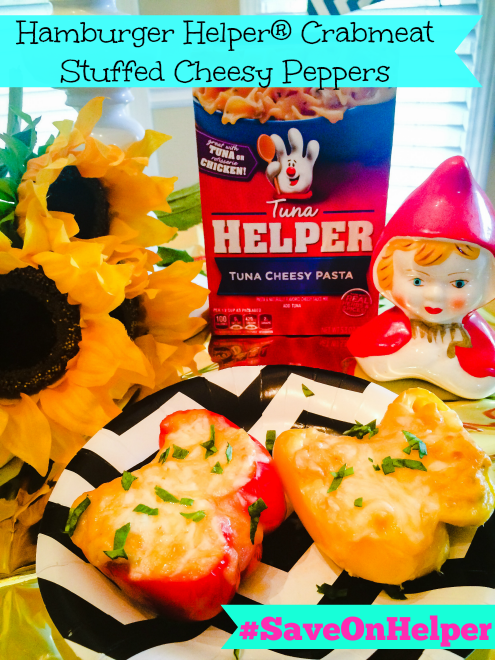 I hope you all had the chance to grab the special Hamburger Helper®​ Ibotta coupon we just posted a few days ago because today I am "flipping" the Hamburger Helper® Tuna Cheesy pasta into something completely different. I have seen so many recipes of stuffed peppers using Hamburger Helper®​, but I have never seen one where they substitute the protein for crabmeat. The funny part about this recipe is that I accidentally discovered it when I realized I forgot to buy the tuna for the recipe. Stuffed peppers with crabmeat stuffing is nothing new, so I thought, why not add crabmeat stuffing to our Hamburger Helper®? Just top it with a great gooey cheese and it should be perfect, and it was! The best part of this recipe is that is it so easy to do and it requires a limited amount of ingredients. Preheat oven to 350. Cook Hamburger Helper® Tuna Chessy Pasta according to package instructions but substitute tuna for crabmeat stuffing. Cut the peppers in half, remove stems and seeds. Wash peppers and cook in boiling, salted water for 4-5 minutes. Drain. 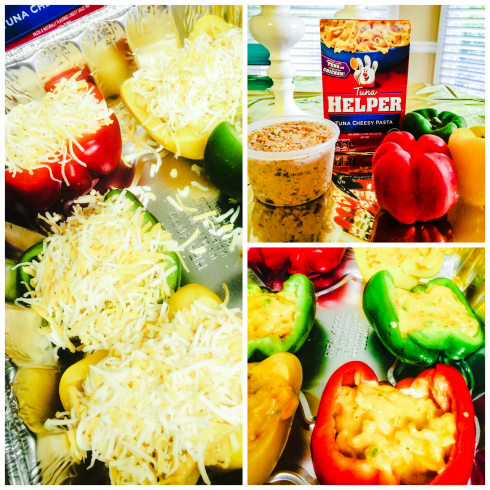 Stuff each pepper with a generous portion of the Hamburger Helper® Cheesy Tuna with the 8oz of crabmeat stuffing mixture and 8 oz of crabmeat. 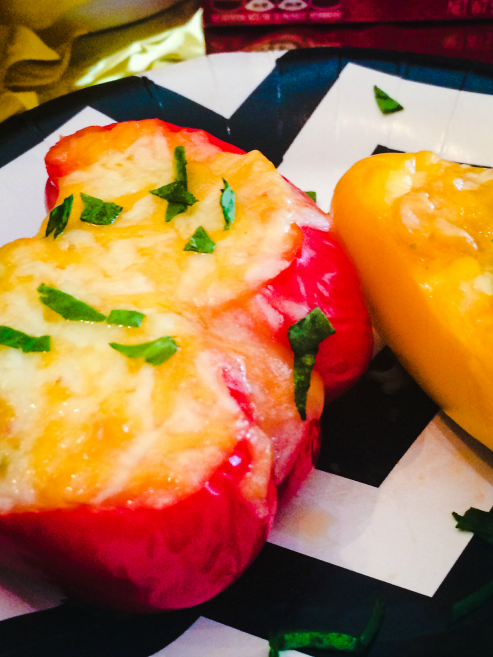 Top peppers with Mexican Four Cheese finely shredded cheese. Place in a lightly greased baking dish. Bake uncovered at 350 degrees for 25 minutes. This is a sponsored conversation written by me on behalf of Hamburger Helper® The opinions and text are all mine. Comments submitted may be displayed on other websites owned by the sponsoring brand.